'Tis the season for colorful, pretty lights! Head down to Lighthouse Point Park in New Haven from now until New Year's Eve for a light show that draws crowds from all over New England. For a small fee, ranging from $10 (cars) to $50 (buses), you can see this mile-long exhibit of beautifully decorated displays. 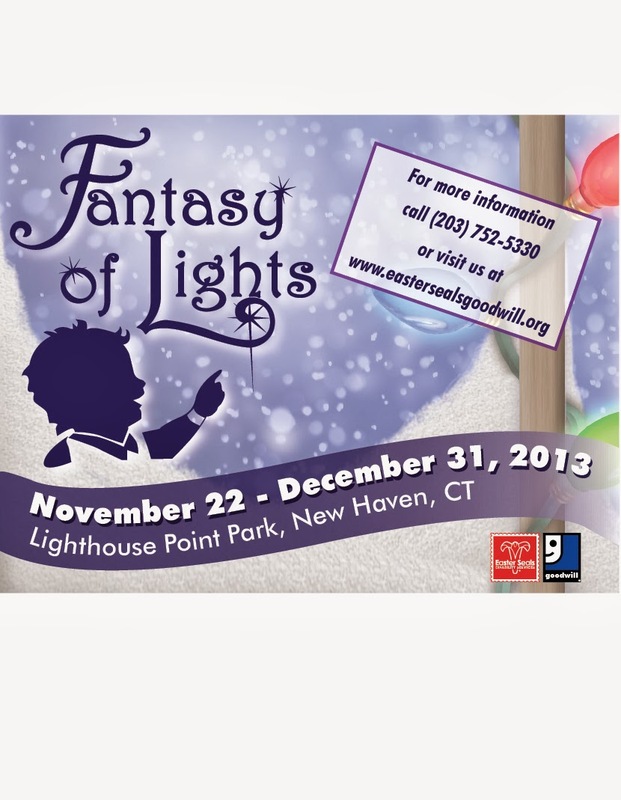 This year, for $2 extra, you can purchase 3D glasses to add some extra kick to your Fantasy of Lights experience. Psst...If you've already visited The Fantasy of Lights this year, feel free to post some photos to the What's Up New Haven Facebook page! We newbies would love some encouragement to go pay a visit to these beautiful displays. For more information or to sponsor a display, e-mail events@esginh.org and find out how you can help. Please keep in mind that all proceeds go to Easter Seals Goodwill "to enhance employment, educational, social and recreational opportunities for people with disabilities and other challenges". Operating hours are Sunday-Thursday from 5-9pm, and Friday & Saturday from 5-10pm.